I can’t resist the beauty of flowers with their vivid colours that saturate their delicate petals. Usually, they would sit in a vase somewhere in the house but for my latest project, I wanted to create flower dresses. Humorously if you wouldn’t have seen the finished photos first this whole concept would seem bonkers. 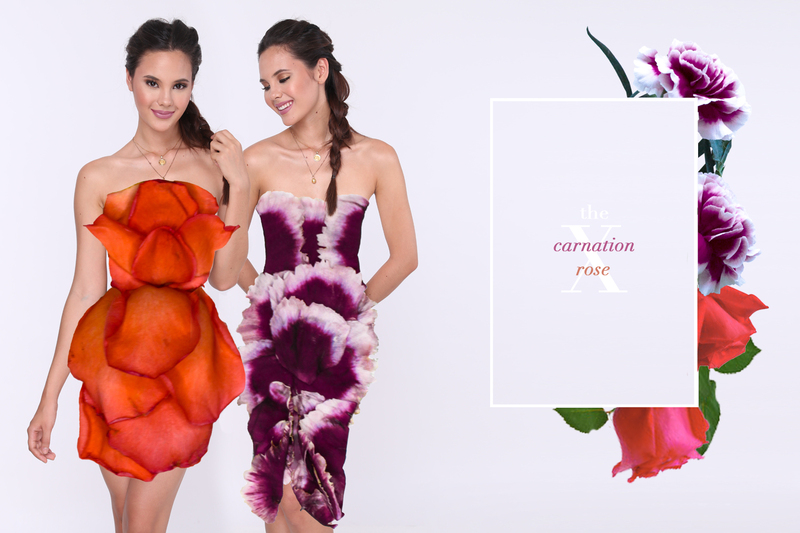 When I conceptualised the idea, I was faced with a tonne of questions like ‘How on earth will I manage to edit the dresses onto my body when I’m no photoshop master?’ along with confused expressions when explaining to my team that I wanted to, in fact “wear” flowers. Thankfully(!) 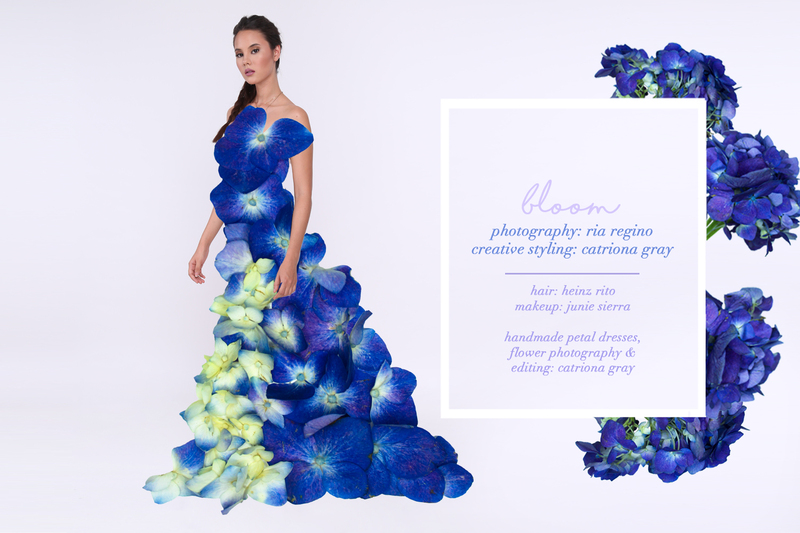 Ria Regino of Fat Cat studios agreed to collaborate with me, despite my loony vision and after hours of flower dress making and editing in my home office here is the result. These pictures have been sitting gathering digital dust in my hard drive for well over a year, unsure of when or how they would be seen by the world. Finally, pressing the publish button on this post I’m bubbling with excitement. This has to be one concept that I’m the most proud of – integrating art and fashion into one, blooming passion project. 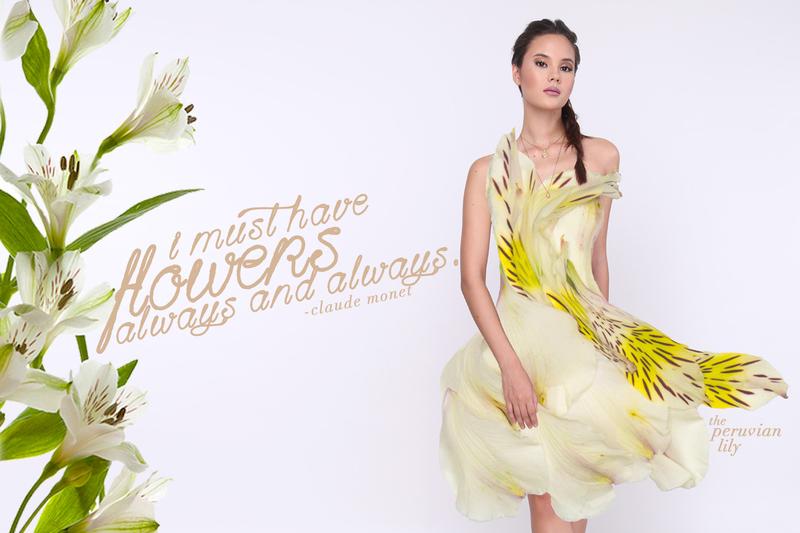 Each dress was made by hand, carefully layering delicate petals to create flowery frocks. I worked as fast as I could to keep them looking their freshest. And voila! 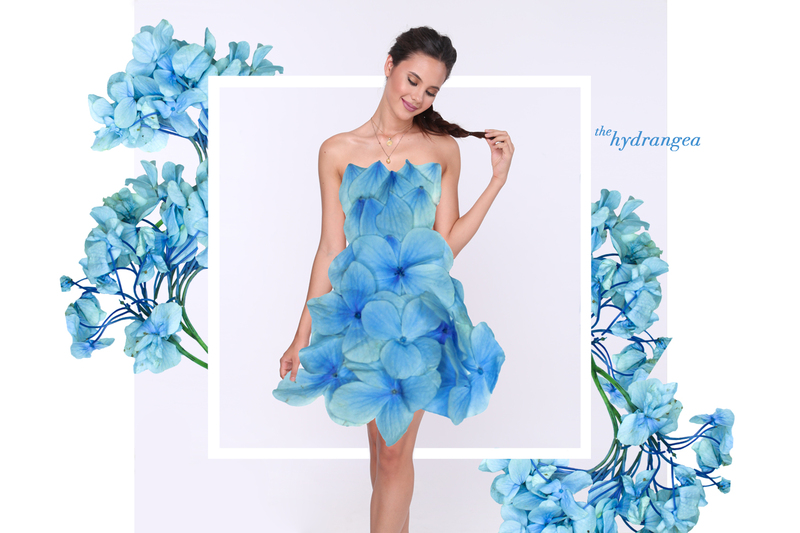 Blooming dresses that even Thumbelina would approve of. Love the idea. I find it creative. Flowers are very refreshing to the eyes depending on the type of color and the flower you will use as a design. It can also be sultry in a very red rose or innocently beautiful in pink.